﻿﻿﻿﻿My short story class resumes this week, and once again I’m going to have to fish or cut bait. Some new writer is going to ask me, “What is a short story, anyway?” and I’m going to have to define it. I’ll cite the usual short-story rules, but then—this happens every time—I’ll start to get queasy about it, remembering all the short stories I’ve read that ignored them. So I’ll try to rephrase the question. It’s not a matter of what a short story is, but of what it does. It does three things. Some smart aleck’s going to tell me these things apply not just to short stories, but to all fiction. And there’s a case for saying that—especially insofar as the first two points are concerned. But I want my new writers to take all three to heart. Until now, they’ve been readers. Now they’ll need to think like writers. And writers know that, regardless of how they choose to shape the container of their short story or how they choose to fill it, there are some basic things that story must do or it will fail. It talks to strangers. The short story you’re working on is your baby. As with any new baby, your friends and relatives are going to make a big fuss over her. That’s because they know you and love you and are therefore predisposed to love your baby. But sooner or later she’ll have to venture out among strangers. Most of them won’t feel one way or the other about her before they’ve met, and when they do meet her you won’t be there to make the introductions. Your baby will have to stand on her own. Let’s imagine that one day you’ve left your story on a seat on the Metro, and some stray passenger has picked it up. You won’t be around to win him over with that smile of yours. If the first paragraph is boring, you won’t be around to explain what went wrong or beg him to read just a little further. Nor will you be around to explain that you were actually being ironic just now, or that the reason the grandmother’s name is Ramona is that your grandmother’s name really was Ramona. What’s there on the page must speak for itself. It has to be transparently and coherently itself—to exist as something separate from you and knowable in its own right. Read your story again—if it’s a mirror, you got it wrong. It should be a window. 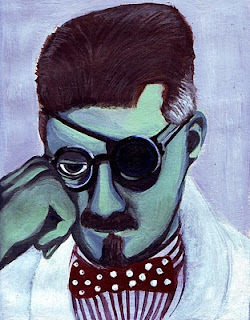 James Joyce by Josh Jack. ﻿﻿﻿It entertains. For people who don’t happen to be your friends or relatives—or your unwaveringly supportive significant other—reading your short story isn’t mandatory. So for all the other readers out there, it had better be entertaining. You’re competing with the dog and the TV, so with every sentence you write, keep your grip on your reader’s lapel. ﻿To say that your story is entertaining is not to say that it’s frivolous. There is such a thing as deeply entertaining, or richly entertaining. I like that phrase…richly entertaining. When you’re writing, think of yourself as creating riches out of the sundries you’ve gathered up and hammered upon in the smithy of your soul—and then sharing them with others. Think of the stories you have adored and most admired. 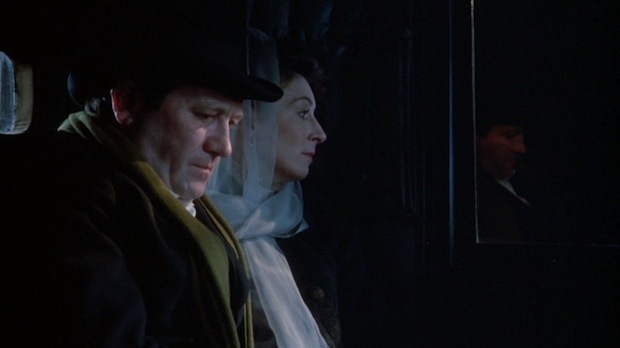 They may have horrified you, or made you cry, or tortured you with suspense, or bemused, thrilled or angered you; they may have put stars in your eyes or chills down your spine but they all kept your attention. You didn’t want them to end. You were entertained. It aims for the heart. In the end, a short story leaves a reader not with a conclusion but with a feeling. A story doesn’t convince the reader of anything; it creates emotional symptoms, sometimes inexplicably. It worms its way into the tissue, so that the reader feels its effects even if she can’t put her finger on what just happened. ﻿﻿Longer fiction affords you whatever number of pages you’ll need to discuss the geological birth of Hawaii or talk about conditions in Midwest meat-packing plants in hopes someone will reform them. But a short story hasn’t the time. And it is told so economically that “facts” almost always go clang. Truth, not facts, is what you’re after, and truth is mostly felt. ﻿You can’t talk a reader into responding. You must work by way of indirection. That’s one of the things that make fiction necessary; other forms of communication are too easily defended against. The best stories can be taken apart sinew by sinew, and still no one can explain how or why they worked, or what, exactly, they just “said.” Think of James Joyce’s “The Dead,” wherein the snow is general all over Ireland, and you can’t say why. Okay: Your story talks to strangers. It entertains. It aims for the heart. Piece of cake, right?